When you need Gas Fireplace Repairs don’t mess around! Call a trusted [main-service] contractor for the [main-area] area. [company-name] provides valuable gas fireplace repair and maintenance services so that homeowners can rest assured that their gas fireplaces are operating safely and efficiently to provide their families with warmth. If you’re experiencing issues with your gas fireplace, our professional West Metro, Wright County, and Buffalo gas fireplace repair contractors are here to help. As an West Metro, Wright County, and Buffalo Professional Gas Fireplace Repairs and Maintenance contractor, we can provide you with all types of Gas Fireplace Repairs and Maintenance services from residential to commercial and more. Don’t let a carbon monoxide leak ruin your home or the lives of your loved ones. 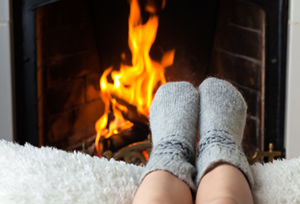 Contact the West Metro, Wright County, and Buffalo heating experts at DeZiel Heating & A/C to ensure your gas fireplace is repaired and operating safely. Gas Can Be Dangerous – Lets face it!!! It is GAS! When properly installed and serviced your gas fireplace can be a safe and beautiful way to heat your home and create a cozy atmosphere. DeZiel Heating & A/C has year of working with gas and is licensed and certified to complete all your gas fireplace needs. Proper Ventilation – As a West Metro, Wright County, and Buffalo Heating & Cooling Contractor, we can ensure that your gas fireplace has the proper ventilation to protect your family from the harmful fumes that can be created by a gas fireplace. Our West Metro, Wright County, and Buffalo gas fireplace repair Contractors are highly trained professionals that can ensure your fireplace is operating safely. It is imperative to invest in regular service and repairs for your gas fireplace, because a gas leak or other troubles with the system could be very dangerous – even deadly. If you have a gas fireplace then call the experts at DeZiel Heating & A/C. We will be happy to help you with all your Gas Fireplace Needs. If you are looking for Gas Fireplace Repair Services then please call 763-684-3965 or complete our online request form.